A Turkish court ruled on Wednesday that Hamza Uluçay, a Turkish man working as an interpreter for the U.S. consulate in southern Adana province, be released after convicting him of aiding an armed terrorist organization while not being a member. Mardin's 3rd Heavy Penal Court sentenced Uluçay to four and a half years in jail but ordered that he be released due to the time served. However, the court placed an international travel ban against him, a source, who asked not to be named due to restrictions on speaking to the media, told Anadolu Agency. 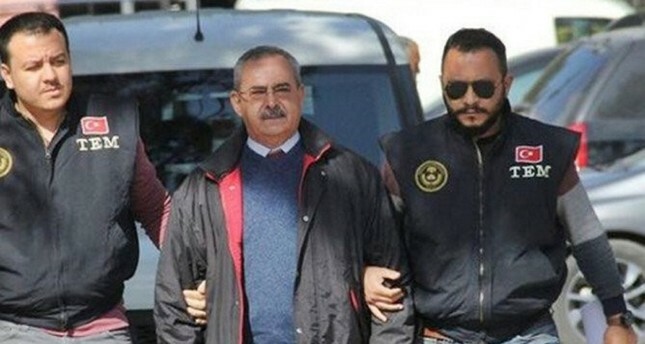 Uluçay, a longtime employee of the U.S. consulate, was accused of "inciting the public to rally" after the shooting of a senior PKK militant in anti-terror operations. He was first detained on Feb. 23, 2017 on suspicion of attempting to incite people through provocative demonstrations on behalf of the PKK, but was later released under judicial control. However, he was arrested after a top PKK figure codenamed Behzat was killed in southeastern Mardin province. The suspect allegedly went to Mardin after the killing and incited people to riot. The PKK, listed as a terrorist organization by Turkey, the U.S., and EU -- resumed its armed campaign in July 2015 and since then has been responsible for the deaths of more than 1,200 security forces personnel and civilians, including women and children.